“Tickets for the first-ever Times of India Film Awards gala in Vancouver were “virtually sold out” within two hours of officially going on sale. About 35,000 tickets for the April 6 awards ceremony at B.C. Place went up for grabs Friday morning at 8 a.m. — and by 4 p.m. only a few single tickets remained. 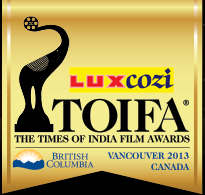 Pacific Coliseum hosted the Times of India Film Awards Musical Extravaganza on April 4. The venue’s full concert bowl seating provides a maximum of 13,500 seats. Late Friday, CKNW reported attendance had been 4,700. The second of two public events still planned, the April 6 gala awards show that sold out in hours seven weeks ago, still has thousands of seats available early morning April 5. At that, only about half the capacity of BC Place is being used. The three hour event at BC Place Stadium serves another important purpose. It allowed Pavco officials to count off sixteen event days. Yes, 16: 10 move-in days, 1 concert day, 2 move-out days and 3 conversion days to reconfigure BC Place for soccer. No bloody wonder Pavco executives keep meeting their facility utilization targets and earn those bonuses. Questioned April 5 about the SOLD OUT show still having thousand of tickets available, Liberal flack Laura Ballance (she also helped Pacific Carbon Trust’s effort to discredit the Auditor General) says they reconfigured the stadium and that’s the reason that tickets are now available. Of course, were that true, the available tickets would be in newly opened sections. However, when I looked at the online ticket sales site early this morning, seats were available in many sections, even in the premium floor seating. Does Ms. Ballance expect us to believe they suddenly found space for more chairs on the stadium floor? I refer to the line at top. tbe TOIFA representative insults our intelligence if she expects us to believe what she is saying. 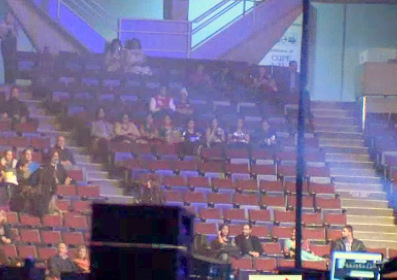 And checking the Vancouver Sun no where in it's article did it mention the number of people and in the photos of the event… not one photo of the crowd which tells me you would see many empty seats. Can you imagine if Christy Clark campaigned on increasing health care & spending millions to bring the Rolling Stones to BC. People would think she was out of her mind. This is no different. What gives her the right to spend millions of hard earned tax dollars on movie actors from another Country. It's disgusting Norm and I hope the people of BC think about that the next time their elderly parents wait for treatment. Isn't it clear enough BC Bollywood is a scam? Interestingly, that particular spokeswoman's company also showed up on that list of fine PR folks that helped the Pacific Carbon Trust develop their 'strategy' to 'react' to the auditor general's audit of their operation. I Disagree with your title. Christy Clark has hurt plenty of middle and low income people. I have been taking Prescription pills I found, expired in 2005. I can't afford to renew it, and her msp plan she 'gives' me doesn't cover them. Christy, just go away. However, at least your difficulties don't degrade your reputation or reflect on your character. The same cannot be said about Liberal politicians and helpmates who believe they are entitled to say anything to anybody, without any sense of accountability. An utterly nauseating waste of taxpayers' money. Ethnic pandering: an attempt to curry favour with a specific ethnic group by the gratuitous application of public attention, compliments and money. Nauseating: the term used by Ujjal Dosanjh in reference to ethnic pandering by the BC Liberals. Delusional: Anyone who thinks the financing of the faux Bollywood awards has anything to do with a disciplined investment with specific ROI targets. Laura Ballance said on Friday that the tickets sold out “In Minutes” but the original presser says They sold out in 8 hours.